METACAM is a nonsteroidal anti-inflammatory drug (NSAID). Metacam works by reducing hormones that cause pain and inflammation in the body. Metacam is used to reduce pain, inflammation and stiffness as a result of acute and chronic musculoskeletal disorders such as osteoarthritis. Always provide client information sheet with a prescription. Carefully consider the potential benefits and risk of Metacam and other treatment options before deciding to use Metacam. Use the lowest effective dose for the shortest duration consistent with individual response. Metacam Oral Suspension should be administered initially at 0.09 mg/lb (0.2 mg/kg) body weight only on the first day of treatment. For all treatments after day 1, Metacam Oral Suspension should be administered once daily at a dose of 0.045 mg/lb (0.1 mg/kg). The syringe is calibrated to deliver the daily maintenance dose in pounds. View Metacam Drug Facts Sheet. Shake well before use, then remove the cap. Particular care should be given about the accuracy of dosing. To prevent accidental overdosing of small dogs, administer drops on food only, never directly into the mouth. Carefully measure suspension onto food to assure that the correct dose is given before the presentation of the food to the dog. The syringe provided with the meloxicam concentration of 1.5 mg/mL cannot be used to measure doses for dogs weighing less than 5 lbs (2.3 kg). For dogs between 5-10 pounds, Metacam Oral Suspension can be given by drops or by using the measuring syringe provided in the package (see dosing procedure below). The syringe fits on to the bottle and has a scale beginning at 5 lbs, designed to deliver the daily maintenance dose (0.05 mg/lb or 0.1 mg/kg). When using the syringe, the dog’s weight should be rounded down to the nearest 5 pound increment. Replace and tighten cap after use. Shake well before use then remove the cap. Metacam Oral Suspension may be either mixed with food or placed directly into the mouth. Particular care should be given about the accuracy of dosing. Metacam Oral Suspension can be given using the measuring syringe provided in the package (see dosing procedure below). The syringe fits on to the bottle and has a scale in pounds designed to deliver the daily maintenance dose (0.05 mg/lb or 0.1 mg/kg). When using the syringe, the dog’s weight should be rounded down to the nearest 5-pound increment. Alternatively, Metacam Oral Suspension can be given using the dropper bottle: one drop for each pound of body weight for the 1.5 mg/mL concentration (two drops for each kilogram of body weight). Replace and tighten cap after use. Shake well before use, then remove the cap. Particular care should be given about the accuracy of dosing. To prevent accidental overdosing of small dogs, administer drops on food only, never directly into the mouth. Carefully measure suspension onto food to assure that the correct dose is given before the presentation of the food to the dog. The syringe provided with the meloxicam concentration of 0.5 mg/mL cannot be used to measure doses for dogs weighing less than 1 lb (0.45 kg). For dogs between 1-10 pounds, Metacam Oral Suspension can be given by drops or by using the measuring syringe provided in the package (see dosing procedure below). The syringe fits on to the bottle and has a scale beginning at 1 lb, designed to deliver the daily maintenance dose (0.05 mg/lb or 0.1 mg/kg). When using the syringe, the dog’s weight should be rounded down to the nearest 1 pound increment. Replace and tighten cap after use. Shake well before use then remove the cap. Metacam Oral Suspension may be either mixed with food or placed directly into the mouth. Particular care should be given about the accuracy of dosing. Metacam Oral Suspension can be given using the measuring syringe provided in the package (see dosing procedure below). The syringe fits on to the bottle and has a scale in pounds designed to deliver the daily maintenance dose (0.05 mg/lb or 0.1 mg/kg). When using the syringe, the dog’s weight should be rounded down to the nearest 1 pound increment. Alternatively, Metacam Oral Suspension can be given using the dropper bottle: two drops for each pound of body weight for the 0.5 mg/mL concentration (five drops for each kilogram of body weight). Replace and tighten cap after use. Contraindications: Dogs with known hypersensitivity to meloxicam should not receive Metacam Oral Suspension. Do not use Metacam Oral Suspension in cats. Acute renal failure and death have been associated with the use of meloxicam in cats. As with any NSAID all dogs should undergo a thorough history and physical examination before the initiation of NSAID therapy. Appropriate laboratory testing to establish hematological and serum biochemical baseline data is recommended prior to and periodically during administration. The owner should be advised to observe their dog for signs of potential drug toxicity and be given a client information sheet about Metacam. What happens if I miss giving a dose: Give the missed dose as soon as you remember. However, it is almost time for the next regularly scheduled dose, skip the missed dose and take the next one as directed. Do not give a double dose of the medication. What is the most important information I should know about Metacam: Metacam is a prescription medication that is FDA approved for use in dogs. 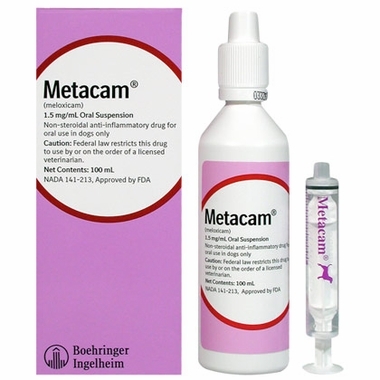 Metacam is available as 1.5mg/ml suspension in a 10 ml, 32 ml, 100 ml, or 180 ml plastic squeeze dropper bottle with a measuring dose syringe included in the package. Metacam is also available as 0.5mg/ml suspension in a 15 ml dropper bottle with a measuring dose syringe included in the package. The usual dose of Metacam in dogs is 0.1mg per pound as an initial dose the first day, followed by 0.05mg per pound once a day thereafter. Shake well before using Metacam. Contact the veterinarian if the pet has bloody, black or tarry stools, blood in vomit, swelling or rapid weight gain due to fluid retention, unusual fatigue or weakness, yellowing of the eyes, excessive itching, abdominal pain or tenderness as these symptoms could indicate serious side effects. Warning: Repeated use of meloxicam in cats has been associated with acute renal failure and death.Do not administer additional doses of injectable or oral meloxicam to cats. Before giving your pet any prescription or over the counter medications check with your veterinarian or pharmacist. What should I discuss with my veterinarian before giving Metacam to my pet: Tell your veterinarian if your pet has an allergy to aspirin or any other NSAID; an ulcer or bleeding in the stomach; has liver, or kidney disease; congestive heart failure; fluid retention; bleeding disorders; heart disease or high blood pressure. Tell your veterinarian if your pet is pregnant or lactating. What should I avoid while giving Metacam to my pet: Many over a counter cough, cold, allergy and pain medicines contain aspirin or other NSAID's similar to Metacam. Before taking any prescription or over the counter medications talk to the veterinarian or pharmacist. Possible side effects: Contact the veterinarian if the pet has bloody, black or tarry stools, blood in vomit, swelling or rapid weight gain due to fluid retention, unusual fatigue or weakness, yellowing of the eyes, excessive itching, abdominal pain or tenderness as these symptoms could indicate serious side effects. If any of the following serious side effects occur, stop giving Metacam and seek emergency veterinary medical attention; an allergic reaction (difficulty breathing; swelling of the lips; tongue or face; hives); muscle cramps, open sores in the mouth, seizures, abdominal cramping. Other less serious side effects may occur. Continue giving Metacam and talk to your veterinarian if your pet experiences headache, dizziness, nausea, diarrhea, or constipation, depression, fatigue or weakness, dry mouth. Other side effects may also occur. Talk to your veterinarian about any side effect that seems unusual or bothersome to the animal. 8 year old Lab with hip/joint problems. Using Metacam after his Stem Cell therapy. He is now able to walk easier & seems to have pain relief. Iâ€™m pleased with Entirely Pets service & delivery. Fair value pricing too. Just as good as buying from my vet but less expensive. You did a great job contacting my vet to confirm the prescription and keeping me informed. I have used your service for over a year now and am TOTALLY satisfied. I turn on my fellow pet owners to your company every time I get the chance. Metacam works great for my dogs arthritis. Metacam comes in a liquid so it easy to give to our dog. Just squirt it on their food. I also want to say that EntirelyPets Pharmacy is one the best on line pharmacies. The customer service is really great! My dog has been using Metacam on and off for a long time, so I know the product is good. What I'm actually reviewing is the Entirely Pets service, which was great. They kept me informed of the status of my order and followed my instructions about getting the Rx from my vet. They also sent a product that won't expire before we use it. I've had other online pharmacies send me items that only had 6 mos. or less before expiration, wasting my money. The price was also terrific. So, I'll be getting refills from EP when needed! Merchant Response:Hello Bee, I%u2019m glad to hear that your dog has found success with Metacam. Also, you are making us blush about our service. We try our best and are glad to have you as a customer. Good Arthritis Pain Relief For My Dog. My 12 lb/12 year old poodle has been on this daily for about four years. She has a horrible skeletal makeup and was limping horribly before getting on Metacam as prescribed by a vet. It worked within a couple of days and she's walked more normally ever since. I know the improvement is from Metacam because if I forget to give it for a day or two, she'll start to limp again. Every dog is different but from my experience, Metacam has been an amazing success for us. ProsIt works for my dog. Simple as that. There have been no negative effects from it whatsoever. Merchant Response: Thank you for your kind words Marie! Glad we are able to help! Excellent service and I will buy from them again. Once written Rx was rec'd from my Vet, product was shipped immediately. Great price, $40 at my veterinary clinic. Service was wonderful with fast shipping and very little turn around time. I have 10 year old Yorkie mix who had to have one of her hip joints removed when she was just a young pup do to Legg Calve Perethes disease. Because she is a small dog, she was able to walk just fine as the ligaments and muscles took over for the lack of the hip joint. She has always had a very slight limp though that was barely noticeable. 10 yearslater though the lack of hip on the one side has put more wear on the other hip and she suffered from occasional arthritis pain. This medication takes care of the pain quickly and she never fusses about taking it, unlike other pill pain Meds. It's so easy to despense the medication into her mouth and she laps it right up. After a short nap, she is feeling good again. ProsEasy to dispense using syring. Must taste good because my log laps it right up when I put in her mouth. Sometimes Oscar has a little trouble walking and is unable to jump up on thing like he used to, but at least he's able to walk and stand up without a lot of pain when using this product. ProsI got more product for my money buying it online vs. from the vet. Very pleased about that. This medicine has helped my 16 year old lab tremendously. It is easy to give to her and makes her quality of life better. Without it I do not think that she would be with us. This has worked better than other NSAID. We have not had any side effects after 9 months. Price was great and good service! 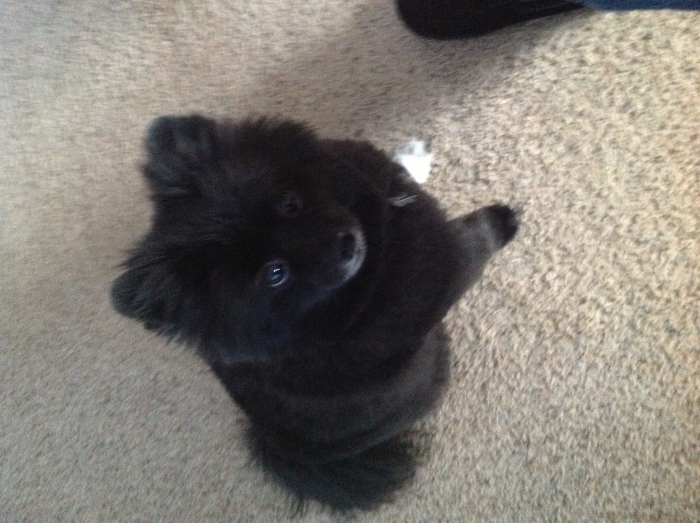 Our vet recommended this for our 11 year old Pomeranian. We checked around and found a much better price for twice the amount that we could get it for at the vet's office, so we ordered it from Entirely Pets Pharmacy. They were very helpful since the vet didn't want to OK the prescription over the phone or by fax, we had to go and pick up a written copy and mail it to them. They knew we were in a hurry since we were almost out of the small bottle from the vet and they did everything to get in in the mail fast and get it to us. ProsThis product has our dog running around again. It seems to feel much better. He was just like us, he would sit down or lay down for a while and get up and be stiff and not move around as fast. He is taking this and doesn't have that problem anymore. Saving over $20.00 is a blessing when your on a fixed income. 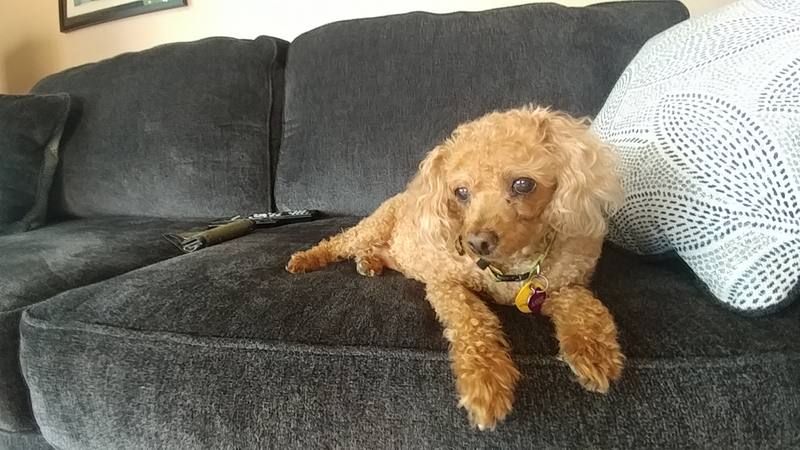 Metacam is the drug that has helped our dog cope with her pain and helps her quality of life. Entirely pets helps us cope with the high cost. This is our second lab who is a teenager and suffering from arthritis. This product is great! It is worth the price. ProsEasy to use Works Our dog loves it1 Easy to dose - onfood. ConsSmells a little funky, but just put the lid on tightly Expensive but goes a long way. 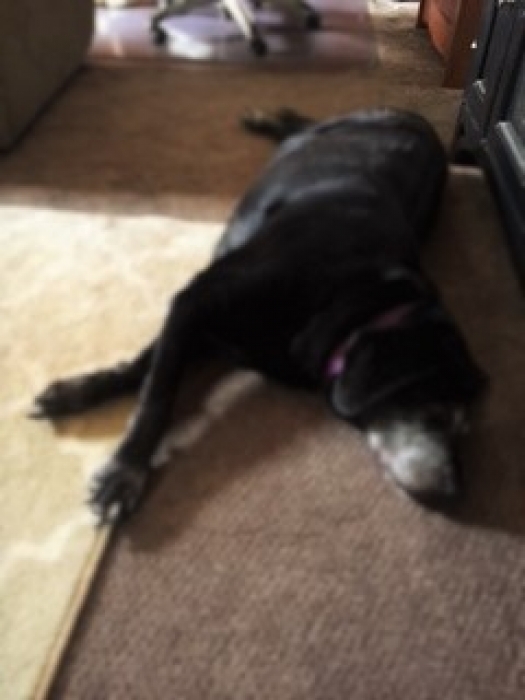 We have given Metacam to our "almost" 14 year old lab, Molly for some time now. She has significant arthritis but we believe the Metacam has been effective in managing her pain and has improved her mobility. We would recommend it to anyone who has an older dog who suffers with joint pain. This is a great drug and is really helping our dogs arthritis . 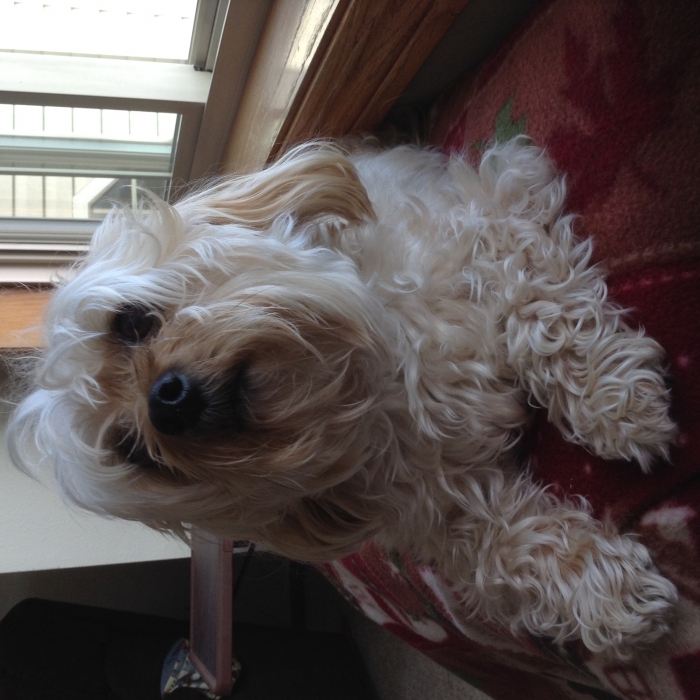 We give a lower than weight dosage and it has made a significant difference for my dog. He feels better and is more active.